Assessment plays an important role in an organization, Virginia International University included. The role assessment plays impacts everyone who has a stake in VIU. The process allows for the Office of Institutional Effectiveness to better help plan and implement strategic plans for different staff departments as well as the deans of VIU’s schools of study. Creating strong and effective plans for all aspects of the university allow for continued growth and overall achievement. Assessment is an integral part of how VIU’s future is shaped. SO WHAT IS ASSESSMENT USED FOR? Improving performance, both academically and organizationally! Simply put, assessment is defined as continuous improvement. The Office of Institutional Effectiveness (OIE), overseen by Associate Vice President Ms.
a) School-level programmatic assessment of student learning (for all degree and certificate programs). b) Bachelor degree level programmatic assessment of general education learning. c) Evaluation of nonacademic/ support and student affairs units. d) Institutional assessment/evaluation of educational and administrative effectiveness. With respect to (c), evaluation of nonacademic/ support and student affairs units is defined by the Office of Institutional Effectiveness as follows (adapted from Banta & Palomba, 2015): Assessment: Aggregating individual measures for the purpose of discovering group strengths and weaknesses that can guide improvement actions. With the constant changing work environment, there is a periodic need to review how jobs are defined, departments are organized, processes are structured, and problems are managed. The goal of assessment is to assist managers and deans in implementing effective action plans and appropriate solutions toward achievement of organizational objectives. In essence, the point of assessment is not the sheer collection of reports and data; it is instead the application of the data to promote changes and developments within the organizational culture and operations. Collection without analysis and application is fruitless. At VIU we conduct assessment both organizationally and academically. Organizationally, we conduct goal-setting exercises in each department, all of which are tied to the strategic goals of the institution. This process is important because it is what drives fulfillment of our institutional strategic plan. We have a direction that we need to go in, and by monitoring and evaluating performance and achievement, we are able to ensure that we are getting there. Academically, we are looking to fulfill student learning outcomes for each program. All assessment is centered around measurement of what learning is taking place. We want to be sure that our students learn what they set out to, in order to be successful after graduation. Additionally, we are able to find weaknesses in the programs and drive curricular improvement, keeping the programs relevant and up-to-date, and providing a better product for VIU students. The short answer? Everyone! The structure is part of a systematized and organized process regulated by the Office of Institutional Effectiveness. Individual departments are responsible for the oversight and maintenance of assessment within their organization. This is accomplished by having an embedded focus on the analysis of assessment as essential components of each department, both academic and organizational. Therefore, departments are responsible for forming and maintaining assessments and assessment practices within their respective areas. Given that each organizational function is unique, all departments are tasked with determining a structure and function that is most conducive to their roles within the institution. As a result, the roles of all individuals at an institution might be articulated by the formalized structure of the work of the OIE. WHAT ARE GOALS OF ASSESSMENT? The most important information that VIU departments report to the Office of Institutional Effectiveness (and what VIU must report to regulatory bodies) is how assessment results are being used toward improved or developed organizational and educational processes and procedures. We all want to improve, as individuals and departments and provide the best working and learning environment possible in a sustainable manner. We want our student services to be strong, just as we want our curriculum to be strong and relevant. 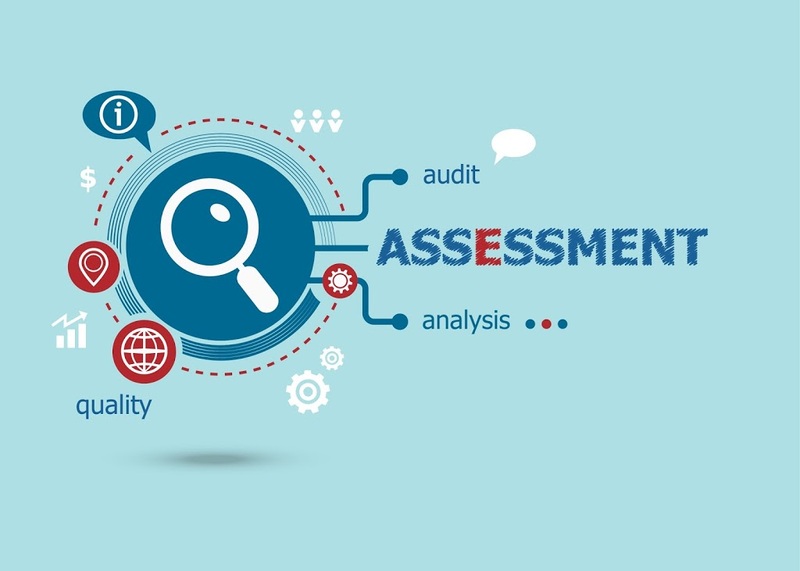 Assessment helps us to take an objective look at what it is we are doing in the day-to-day operations to determine what is working well, and what is not working well. We can then readjust and align our objectives to be more focused, with the intended result of a better experience for all of the VIU community. Assessment never stops. Assessment at VIU involves the analysis and interpretation of information on employee and departmental performance as a basis for identifying needed improvement or development of educational and organizational processes. IS IT AN ON-GOING PROJECT OR SOMETHING THAT IS LOOKED AT DURING CERTAIN PERIODS OF TIME? Analysis relates to producing assessment results and involves summarizing, arranging, presenting, or otherwise rendering assessment data for interpretation and decision-making. VIU departments are asked to summarize and report results for all assessment data. For quantitatively-oriented data, reporting can be summaries of aggregated performance ratings or scores (e.g., percentiles, etc.). For qualitative/ textually-oriented results, departments can summarize prevailing trends or themes in the data (among other examples). However, it is an ongoing and continuous process that truly never ends. HOW DO YOU USE THE INFORMATION GAINED THROUGH ASSESSMENT? VIU’s OIE monitors steps the collection and use of data carefully. OIE (and SACS COC) is interested in knowing what VIU departments are learning about the effectiveness of their organizational processes on the basis of assessment results, and, where achievement or improvement has not happened as expected, what actions directors and employees are taking to enhance the quality of departmental delivery. This essentially establishes the use of assessment data for continuous improvement. The use and reuse of data/information occur over the lifetime of an assessment cycle and is intended to learn and grow along with the department (and employees).